Tahiti, Bora Bora, Pago Pago. Few places stir the imagination as much as Polynesia does. (Come on, turquoise waters and palm trees just crossed your mind too!). 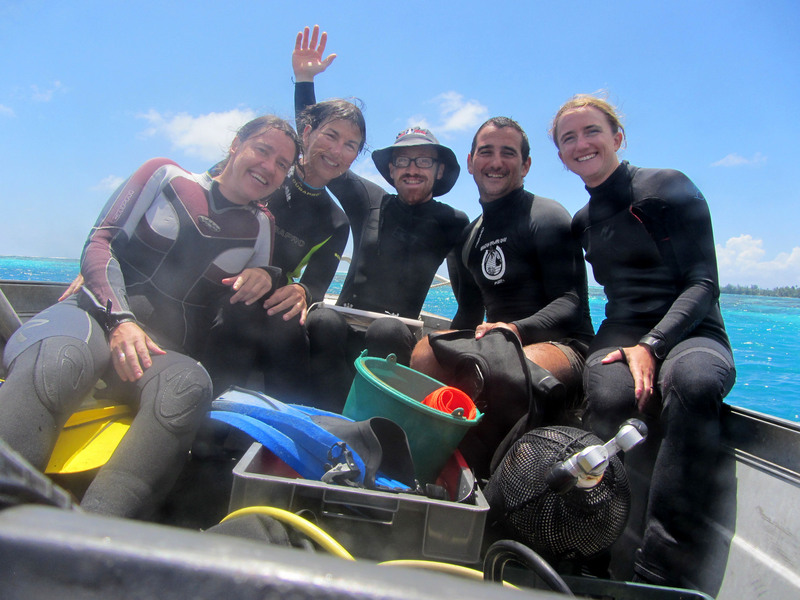 I’ve just spent a couple of weeks in Moorea working on a very cool project with my long-time collaborator, Dr Suzie Mills, her partner Dr Ricardo Beldade, and Sophie and Brendan Nedelec. Sophie is a PhD student from the University of Bristol who studies how human-made underwater sounds, like the buzz of outboard motors, affect a variety of marine animals. We all came together to see if cleanerfish change their behaviour towards the fishy clients that they clean of parasites when there is a roaring boat overhead. While the underwater work went wonderfully well (woah! w-alliteration! ), life on the surface was more challenging. In her inimitable style, Suzie summarised it in an email that she’s allowed me to copy below. 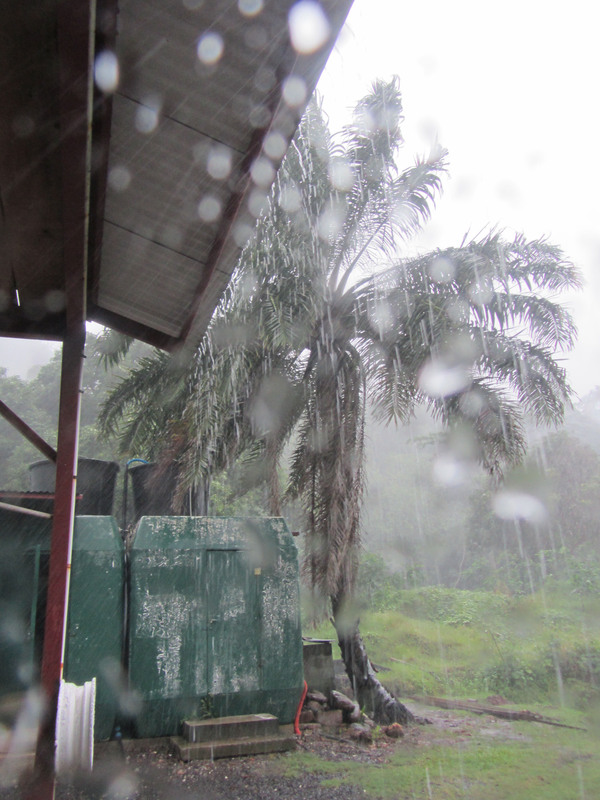 Ahhh, fieldwork in the tropics…. After a challenging week of various diseases, orange weather alerts and sinking boats, we have collected a good amount of data. 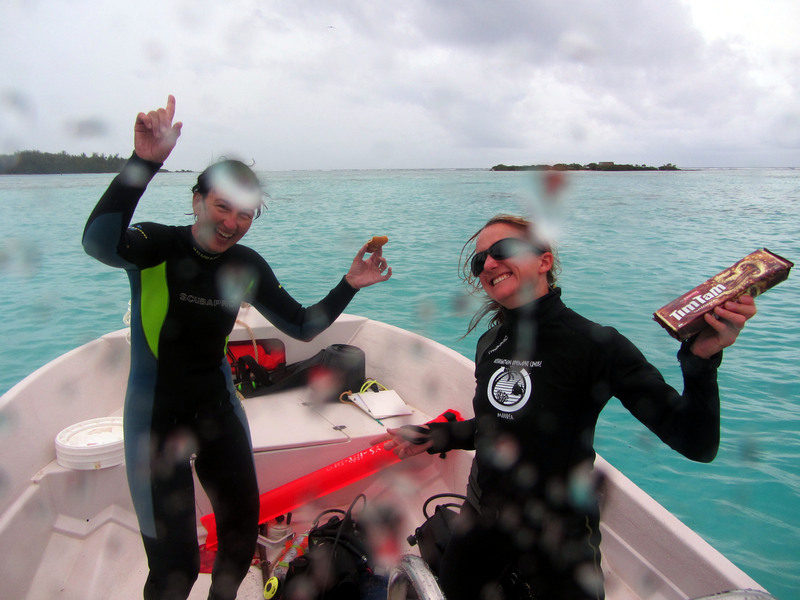 One last diving day on Monday will tell us whether it was all worth it or not…. “free” facial exfoliation from what felt like enormous hail stones. and a great pamplemousse (grapefruit). The weather has been pretty rotten (two orange alerts, no boat access) and this arrived the day Isa landed, so we blame her entirely…..
Here’s hoping that none of us gets Dengue fever on Monday….